Workshop with Susi Evans 1-2pm; jamming 2-4. Entry: £5 on the door. Tickets £12 adv / £15 door. music in a relaxed environment. All instruments and levels welcome. More Info	Frank London of the Klezmatics and an impressive line-up of American, European and British klezmer stars bring the rhythms and excitement of Eastern European party music to the heart of London. With Michael Alpert, Deborah Strauss, Jeff Warschauer, Merlin Shepherd, Andreas Schmitges, Ilana Cravitz, Ros Hawley, Paul Tkachenko, Guy Schalom, Emma Stiman, Stewart Curtis and Maurice Chernick. Concert is presented by the Jewish Music Institute (JMI) as part of KlezFest London. modes and style elements that make Klezmer so haunting and joyful. The London Klezmer Orchestra meets to practice repertoire and arrange music. This is the last chance to join in time for the party on 16 December. Information: William Millis on 020 8969 7019. The London Klezmer Orchestra meets to practise repertoire and arrange music. For further information call William Millis on 020 8969 7019. Tunes online. Next session: Monday 23 November, 7.30-9.30pm at the same venue. to celebrate 50 years of Houseman’s peace activities. ornamentation and accompaniment, and even few dance steps. August). See www.jmi.org.uk for more details. and HaBiluim, and singer-songwriter Lail Arad. forthcoming third album, Traveling the Face of the Globe. pulp fiction style 50s and 60s Yiddish surf twist! their mix of ladino, flamenco, Moorish and Gypsy flavours to the Seder. Flamenco guitarist Steve Homes, percussionist Ulises Diaz and singer Monica Acosta will be performing some beautiful Sephardic Love Songs. This concert is the third in a series of four over the coming months (to March 2009). Each concert will focus on a specific theme. Sunday 25th January 2009 7:30 p.m.
Sunday 8th March 2009 7:30 p.m.
A lunchtime set with the band playing trad klezmer – old and new. Ilana Cravitz (violin), Susi Evans (clarinet), Jim Marcovitch (accordion), Guy Schalom (drums), Paul Tkachenko (bass), Matt Bacon (guitar). Bacon (bazouki/guitar), Guy Schalom (drums), Paul Tkachenko (bass). Enjoy up-beat klezmer from the all-women band plus much more. 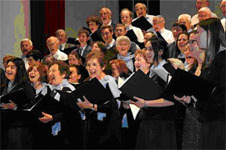 Come and share with us in the joy of Jewish choral music. The workshop leaders: …read more…. Kings, between 1 and 4pm. bit of dancing and singing… Out-of-towners particularly welcome! Chicken Soup for the Ears? The capital’s first regular klezmer session has found a home: the Cross Kings. relax in the deep sofas and convivial atmosphere of this great central London pub. SOPHIE SOLOMON: Europe’s most charismatic fiddler. Book online at www.jcclondon.org.uk to reserve your ticket. Door Policy at the Cobden Club requires your names in advance. 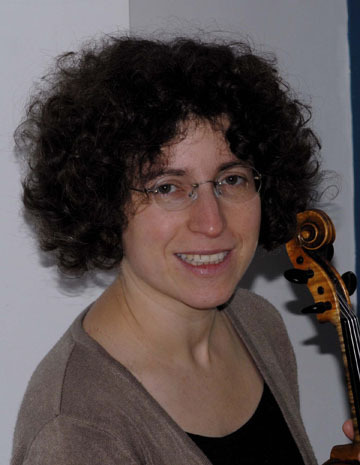 SOPHIE SOLOMON: Europe’s most charismatic Jewish fiddler. in a series of regular Gypsy Balkan Russian Klezmer mash-ups at the NHAC. Synagogue on Wednesday 21 December, at 7.30pm. who performed in Jerusalem and Ramallah last year. LJMC’s new Musical Director Michael Etherton. which opened in September 2004. She is launching a dedicated Jewish music site covering all types of Jewish music (of course where there are clearlyJewish influences and content withni them). They are also broadcasting a weekly Jewish music show called the SomethingJewish Radio Show and have featured, played and interviewed people from The Klezmatics through to Jewish rapper Remedy Ross.